I am cantonese and so happen to have the surname: Wong. I’m not being bias but as I was researching on my next food adventure in Sydney, Mr. Wong popped up quite a bit. It so happened we were ready to have lunch by 12 that we didn’t need to book and walk-in with a table for two. We sat at the bar tables watching their wok chefs do their fried rice and sizzling hot dishes. 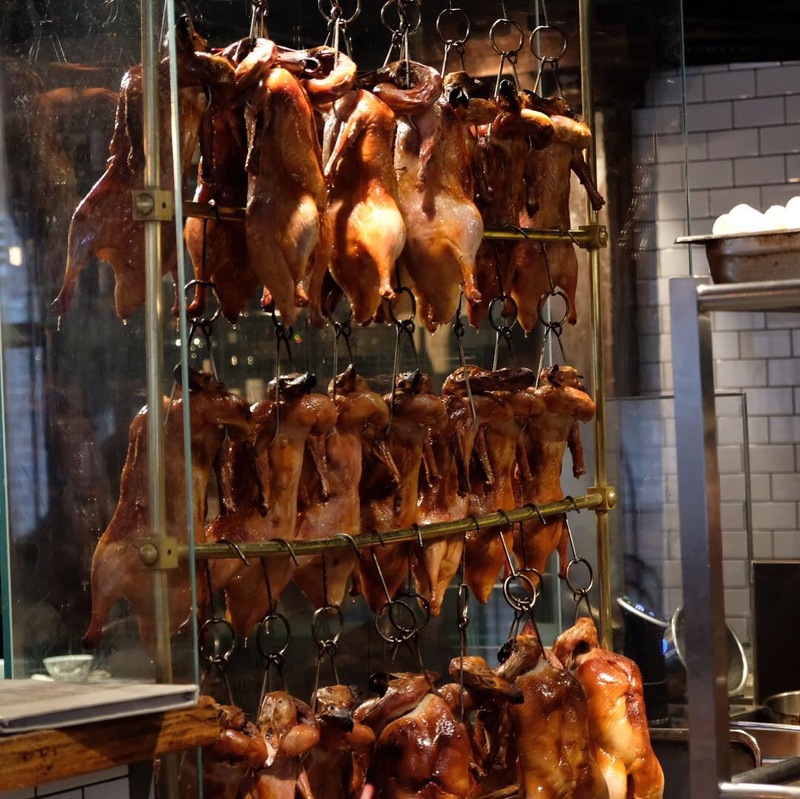 There is another area where they make their dim sums and a third enclosed kitchen where they roast their duck! The interior amazes me for something Chinese. A bar-like atmosphere retaining the arched bricked walls in every side possible. Rustic feel with dim lighting but enough for casual fine diners. The dining area is quite big, be sure to book in advance if you have a large group. Waiters were superb and have a sense of humour. We ordered a Mocktail and a pale ale. The mocktail #03 came out in a pretty glass and the drink was tasty. It was seedlip dspice and ginger beer with a hint of fresh ginger, enough to not scream at you and balanced by honey and strong sourness from the lime juice. The 2nd dim sum was Wagyu and truffle puff (comes in 3 for $16 but the waiter suggested an extra one to share so it’s even amongst the two of us). So delicious. Came out hot, strong taste of truffle with soft wagyu pieces. The puff was light and very flaky. By light I mean it didn’t felt oily. By flaky I mean it wasn’t falling apart from your chopstick until you bite into it. It was just enough to hold it together, Perfect. I would recommend this dish. Our carb dish was wok fried tapioca noodles with chicken, bean sprouts and black garlic, $29. Took a while to figure out what tapioca noodles were. The cantonese direct translation, we call it “Rat Noodles” or silver noodles. Back in the days, I was told these noodles were accessible so it was cheap. It was a hawker dish and wasn’t anything luxurious. We tried it because I wanted to see if it could take me back to canton flavours that felt like home. This dish is meant to be oily with strong wok aromas. It hit it on the mark. The chicken was an addition to make it worth $29, otherwise I would be expecting $20. The chicken was tender, and was tossed into the wok absorbing all the flavours. I went with a friend who had been to Mr. Wong before and he didn’t mind trying it again. All he warned me was: It’s good but expensive for us (being asians who’s used to cheap & good asian food). Overall, although it was pricey, Mr. Wong seem to have nailed the traditional dishes well, staff were helpful and friendly – didn’t need to wait for a walk-in customer like me. The faultless items were the 03 mocktail, fried wagyu & truffle puffs and chicken tapioca noodles. I would definitely try more traditional cantonese dishes from the menu when I take my friends here again for a fancy dining.